There are certain types of people who simply seem to be followed in the course of their lives by a symphonic heavy metal soundtrack. The Mexica king, Axayacatl, is a prime example of such people. Even factoring in the Mexica empire’s substantial love of theatre, violence, and theatrical violence, his personal comportment stands out. 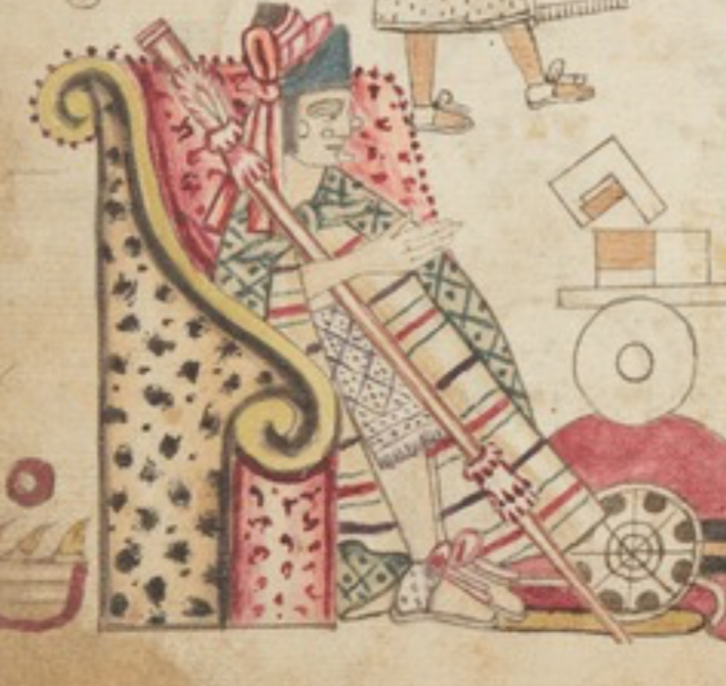 Axayacatl, courtesy of the Codex Azcatitlan, in all his glory. Axayactl was a front-line warrior, famously sustaining several wounds in the course of battle—Nahua warfare, as Inga Cleninennden notes, was cultural and political as well as practical. 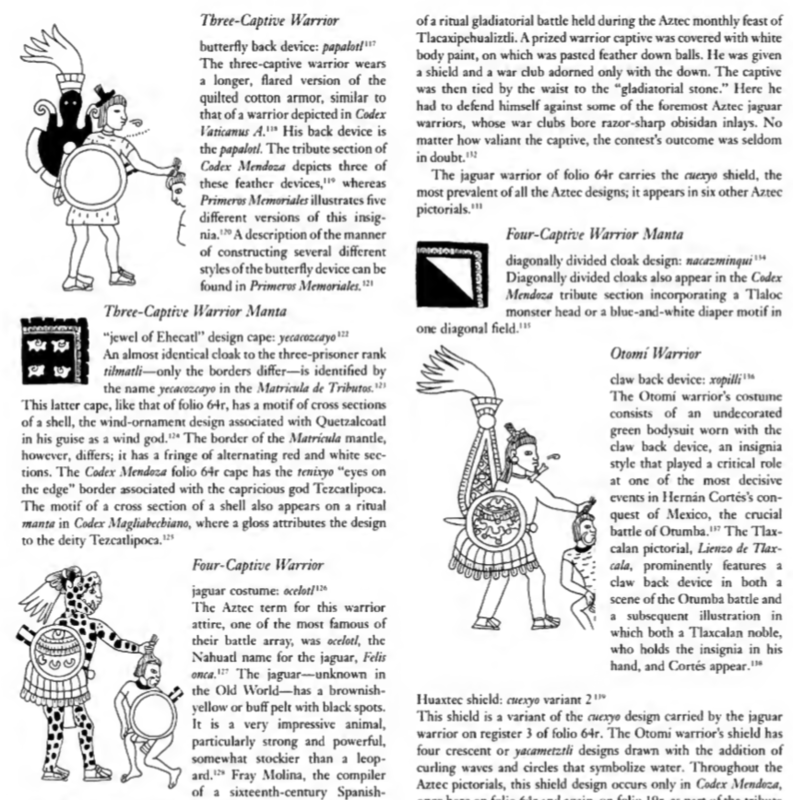 “The great warrior’s best protection against being molested by trivial and over-ambitious opponents was the terror inspired by the ferocity of his glance, the grandeur of his reputation, and the fact that every warrior bore his war record inscribed on his regalia.” The short short version? That in Mesoamerica, your poker-face/death-glare was as valuable as your shield in deterring unwanted attention from social inferiors in battle. From the ESSENTIAL CODEX MENDOZA. Axayacatl again, bottom left, and his handiwork, far right. But we’re not here to talk just about Axayacatl—we’re here to talk about the great stone he commissioned, an artifact that has come to be used as shorthand for Mesoamerican cultures ever since in popular media. In a similar way, the Sun Stone (recovered in Mexico City in 1790) is a symbol for all pre-Colombian civilizations in Central America, to the point of being a stylistic shorthand in popular media. I’m looking at you, MMORPG SMITE! Conspicuously using the Sun Stone for the Maya Pantheon—shame, shame on the sinner! See the Sun Stone, a Mexica symbol below the Maya amalgamated god, Ah Puch, of horrific decay. The Sun Stone, commissioned by Tlatoani Axayacatl, is one of the most significant cultural shorthands to refer to Mesoamerica. If you’ve ever eaten at a Mexican-themed restaurant, there is a reasonable chance that you’ve seen the grinning face of Tonatiuh, one of the Mexica sun gods, smiling out at you, flanked by human hearts. At this point, Axayacatl is feeling on top of the world, a string of unbroken conquests behind him. At the urging of his advisors, Axayacatl launched an attack on the neighboring Purepecha empire to acquire the sufficient quality and quantity of sacrifices to inaugurate the Sun Stone. 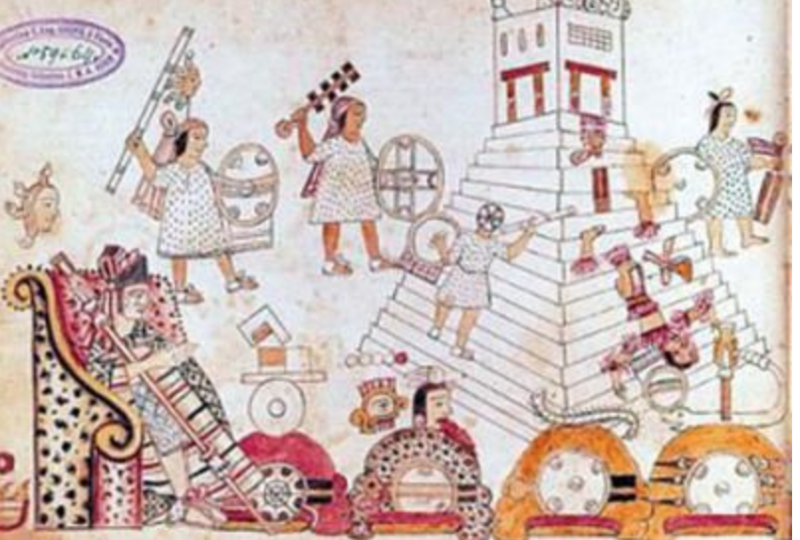 The battle that followed was to be the one lingering black mark on the Mexica military record. I’ll spare you the blow-by-blow, but the Mexica were handily defeated by the Purepecha. The Sun Stone was consecrated with lesser sacrifices, and Axayacatl went on to die of fever several years later. The Immortal Sun is a similar artifact to the Sun Stone in the sense that it defines the entirety of Ixallan. 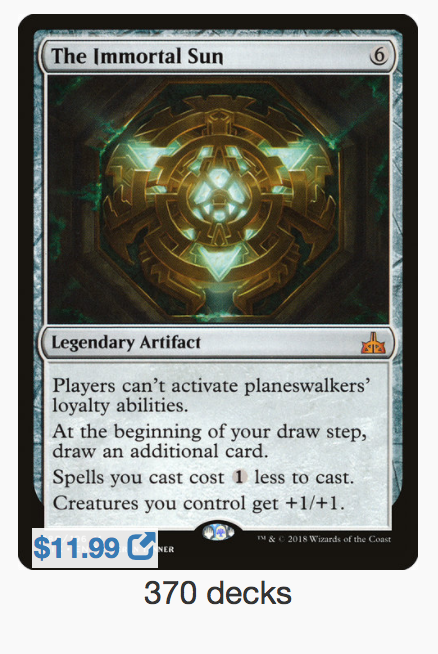 It serves as a center for conflict and its construction involved Azor sacrificing his trans-planes spark— a hefty sacrifice indeed, in a failed attempt to de-power and trap the villainous Nicol Bolas. It is what make Ixalan unique in the lore of M:TG and it borrows, at least a little, aesthetically, from the 24-ton Sun Stone. Their similarities don’t end there either—both artifacts are associated with sacrifice and are emblematic of the locations they are located in. Where they differ is in temporality-]The Immortal Sun is just that-an unflinching, unwavering constant in a world filled with warring factions. This is the opposite of the Mesoamaerican conception of time-cyclical, rather than perpetual, with the suns cycling through like everyone else. 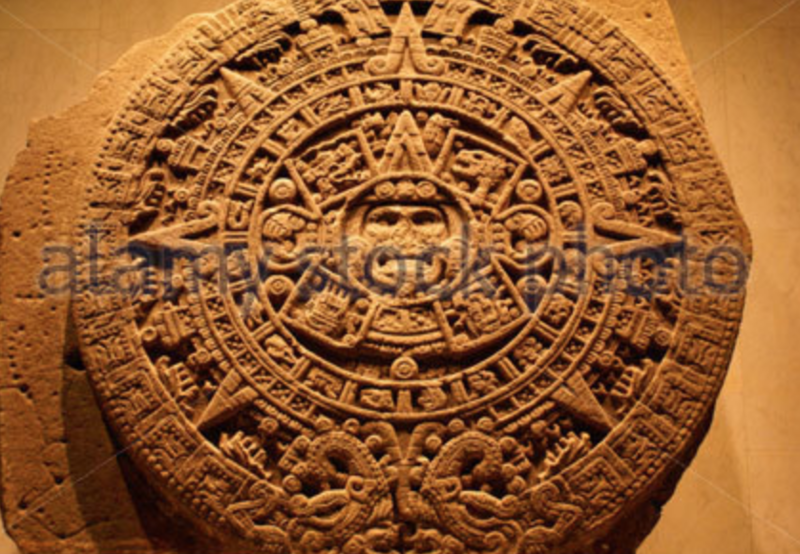 In fact, the center of the Sun Stone documents the last four eras, called suns, which we covered in a previous article. Mexica Sun Stone-you’d never guess it weighed 24 tons, would you? At any rate, we’re closing out the Mesoamerican portion of Historically Speaking with the new set rotation. I think some closing thoughts on Ixalan are an order here. 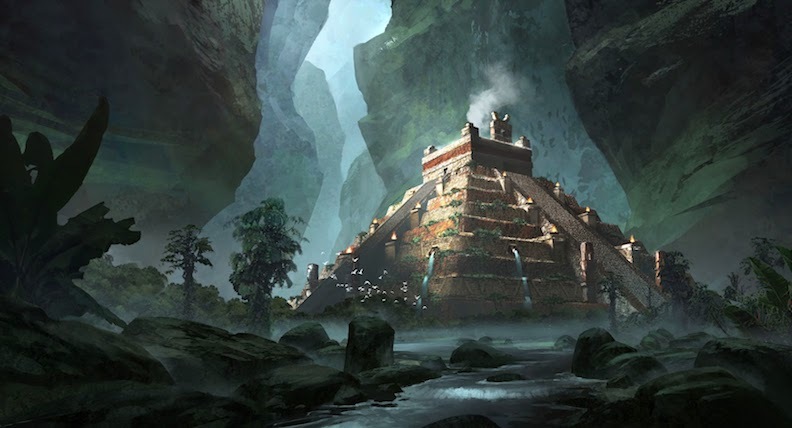 I overall appreciated Wizard’s approach towards the societies inspired by Mesoamerica. There is a tendency in popular culture to over-state the the sensational aspects of Mesoamerican cultures-auto-sacrifice, human sacrifice, their gods-and to lean on those as a way of othering a complex series of cultures. Anyway, onwards! Onto the Sagas of Dominaria!